Much has been made of the concept of soft power enunciated by Joseph Nye in an article in Foreign Policy in 1990. According to Nye, soft power of a state consists in its ability to get the desired outcomes vis-à-vis other states through the use of “co-optive” or non-coercive power. Other commentators have tended to expand and interpret this concept as the influence of a state vis-à-vis others caused by intangible factors such as culture, life-style, ideology, values, institutions, etc. The essence of this concept seems to be the influence that a state wields on other states and societies for reasons other than its hard power, i.e., economic and military might. Some foreign policy experts have been taken in by this concept and tend to believe that soft power is as important as hard power, or perhaps even more important. They attach value to it in terms of conscious effort that needs to be made to promote soft power. I would like to emphasise that soft power has its effect not because of any special effort that is made in this regard but because it exemplifies the success of a system or an experiment that can be replicated elsewhere. There are, however, states which make special efforts to project their soft power through institutions which they like to describe as “Public Diplomacy” or “Cultural Diplomacy”. In this context, a distinction can be easily made between “Demonstration Effect” and “Cultivated Effect” of soft power. Demonstration Effect implies the automaticity of an effect caused by the success of a political, social or cultural experiment. For instance, the success of democracy and rule of law in the United States and Western Europe becomes an example to be emulated by others. No special effort is needed to propagate the virtues of democracy in these countries. Cultivated Effect on the other hand involves the effort to send troupes of dancers and musicians abroad to acquaint other countries with one’s cultural achievements under the rubric of cultural diplomacy or, to invite delegations of intellectuals and civil society leaders from other countries to showcase them one’s history and culture under the rubric of public diplomacy. While the Demonstration Effect can be easily seen in the form of efforts being made by other countries to emulate one’s example, the Cultivated Effect is not visible and is not easy to measure. I would therefore suggest that while soft power is important, too much effort need not be made to impress others with one’s soft power or to impose it on them. Soft power can at best be an intangible supplement to hard power but cannot be a substitute for it, nor can it compete with hard power in terms of its utility to influence other’s behaviour. The most important instrument of India’s soft power is the success of its democracy. For 68 years consistently India has held elections to its national and state legislatures without interruption. The participation in terms of percentage of voter turnout and diversity of ethnic and religious population has been an example to the rest of the world. Not only the countries in India’s South Asian neighbourhood but newly independent countries of Asia and Africa have drawn inspiration from India’s success in democracy. South Asian neighbours have in fact been seeking India’s assistance in drafting their constitutions and conducting their elections. In this respect, the contrast with China and Pakistan is very telling. India ranks much higher than China in terms of global attractiveness of its political system. China’s one-ideology one-party based political system often remains a subject of ridicule, criticism, curiosity and probity. India’s system evokes admiration and its openness invites constructive comments, even if critical. The contrast with Pakistan is even more obvious. India and Pakistan have shared history and both were born as independent states on the same day. While Indian democracy has expanded its horizons and evolved into a rich and multi-dimensional framework of fairly inclusive governance, Pakistani democracy is still faltering and fledging at the fact of its military dictators and religious megalomaniacs. Another instrument of India’s soft power that may be mentioned is secularism as a political value. India being a large multi-religious society, religious equality and tolerance were enshrined as a basic value in the constitution. It is difficult to say that India has fully succeeded in abiding by this value. But substantially it has, and to that extent it is the envy of the rest of the world. India’s soft power potential also lies in movies, music and dance. Indian movies have had worldwide impact. Their popularity derives from their mass entertainment effect. Indian classical music and dance may not have a mass appeal but are greatly valued by elite audience abroad for their subtlety and refinement. Indian diaspora in developed as well as developing countries have acted as promoters of Indian movies, music and dance among the local populace. It must be stated however that soft power has limited effect in countries where attitudes are pre-determined by ingrained antipathy. For instance, Pakistan is a country where Indian movies, music and dance are passionately appreciated. But this has not made any dent in Pakistan’s perennial hostility towards India. India has a tremendous soft power potential. 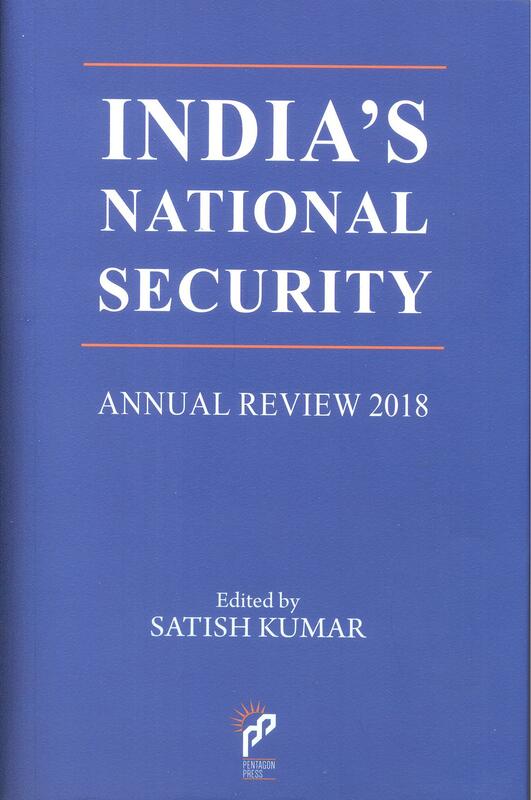 But its due stature in the world cannot be achieved unless its hard power is adequate to protect its own interest and contribute also to regional and global security requirements.